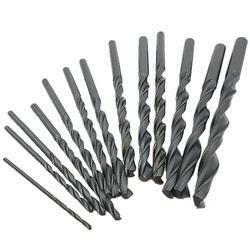 Leading Exporter of auger bits, auger drilling bits, carbide end mills, drill bits and hss drill bits from Mumbai. Jayant Impex Pvt Ltd, India, Maharashtra, Khopoli, Mumbai, India can offer Auger bits. 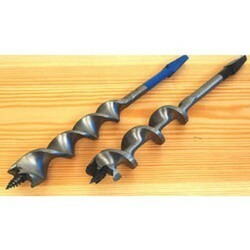 Wood boring drill bit drills faster than ordinary steel auger bits. 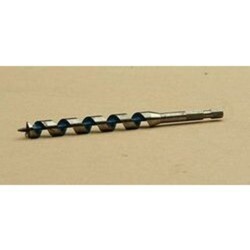 Milled from a solid bar of steel, it is stronger than most conventional wood drilling auger bits. This truly heavy-duty drill bit is able to accept the high torque load and high R. P. M. level generated by the most powerful impact wrenches and drill motors. 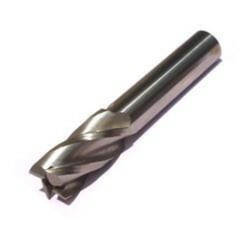 If any requirements for Auger Bits do contact us. Jayant Impex Pvt Ltd, Mumbai, India is engaged in Industrial supplies can offer vide range of Drilling Bits, Collets and Chucks from ready stock or on make to order basis are currently supplying to UK, Iran(Tehran), Saudi Arabia, Spain, Bahrain, Nigeria, Dubai, Egypt, Malaysia, etc. various steel products such as Angles, Channels, Beams, Billets, Blooms, Round Bars, Square Bars, Rectangular Bars, Flat Bars, Forged Bars, Rolled Bars, Concast Bars, Pipe Flanges, Elbow, Tee, Reducer, Cross, Stub End, End Caps, Forged Stampings, Pipes, Tube, Tubing, Fasteners, Bolts, Nuts, Washers, Screws, Studs, Plates, Sheets, Coil, etc. Acme Taps, Auger Bits, Auger Drilling Bits, Button Bits, Carbide Drill Bit, Carbide End Mills, Carbide Punches, Carbide Tips, Ceramic Inserts, Coolant Drill, Drill Bit Set, Drill Bits, Drilling DTH Bits, DTH Hammer Bits, End Mill Drill Bits, Hammer Bit, HSS Center Drill Bits, HSS Drill Bits, Long Drill Bit, Masonry Drill Bits, PCD Inserts, Straight Shank Twist, Drill Bit, Stub Drill Bit, Tungsten Carbide Drill Bits, Twist Drill Bits, U Drill Bit, etc. We stock, supply, export, wholesale Drilling Bits, Collets and Chucks which are used in applications of Engineering, Construction, Oil Field, Offshore, Shipbuilding, Nuclear Projects, Marine Projects, Drilling, etc. We can supply smaller quantities of Drilling Bits, Collets and Chucks from our associated manufacturing unit in India are also looking to explore its supply to Albania, Algeria, Andorra, Angola, Antigua and Barbuda, Argentina, Armenia, Australia, Austria, Bahamas, Bahrain, Bangladesh, Belgium, Benin, Bhutan, Bolivia, Bosnia and Herzegovina, Botswana, Brazil, Brunei, Bulgaria, Burkina Faso, Burma, Burundi, Cambodia, Cameroon, Canada, Cabo Verde, Chad, Chile, Colombia, Comoros, Congo, Costa Rica, Cote d'Ivoire, Croatia, Cuba, Curacao, Cyprus, Denmark, Djibouti, Dominica, Ecuador, Egypt, El Salvador, Guinea, Eritrea, Estonia, Ethiopia, Fiji, Finland, France, Gabon, Gambia, Georgia, Germany, Ghana, Greece, Grenada, Guatemala, Guinea, Guyana, Hong Kong, Hungary, Iceland, India, Indonesia, Iran, Ireland, Israel, Italy, Jamaica, Japan, Jordan, Kenya, Kiribati, South Korea, Kosovo, Kuwait, Kyrgyzstan, Lebanon, Lesotho, Liberia, Libya, Liechtenstein, Lithuania, Luxembourg, Macau, Macedonia, Madagascar, Malawi, Malaysia, Maldives, Mali, Malta, Mauritius, Mexico, Micronesia, Moldova, Mongolia, Mozambique, Namibia, Nauru, Nepal, Netherlands, New Zealand, Icaragua, Niger, Nigeria, Norway, Oman, Palau, Palestinian Territories, Panama, Paraguay, Peru, Philippines, Poland, Portugal, Qatar, Romania, Russia, Samoa, San Marino, Saudi Arabia, Senegal, Serbia, Seychelles, Sierra Leone, Singapore, Sint Maarten, Slovakia, Slovenia, Solomon Islands, Somalia, South Africa, South Korea, South Sudan, Spain, Sri Lanka, Swaziland, Sweden, Switzerland, Tanzania, Thailand, Togo, Tonga, Trinidad and Tobago, Tunisia, Turkey, Uganda, Ukraine, United Arab Emirates, United Kingdom, Uruguay, Venezuela, Vietnam, Zimbabwe, etc. 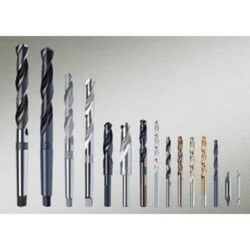 If any requirements for Drilling Bits, Collets and Chucks kindly do contact us. Looking for Drilling Bits, Collets & Chucks ?